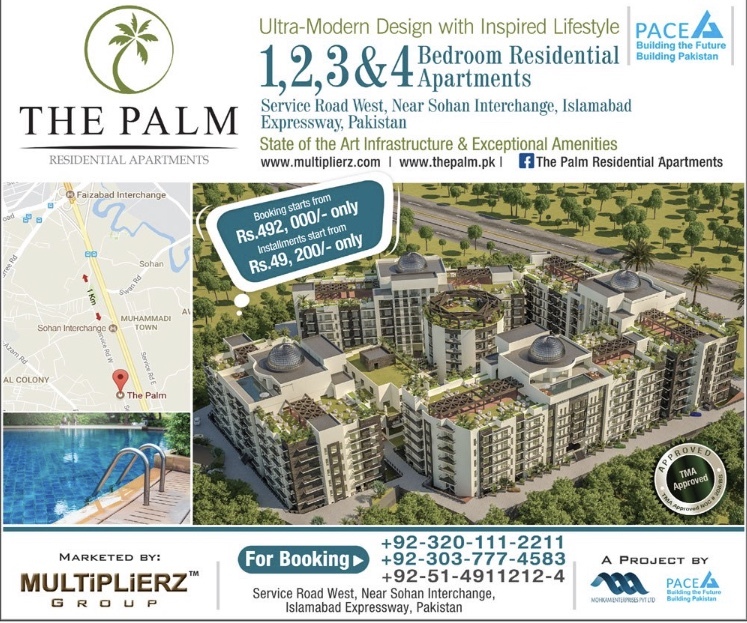 The Palm, residential apartments between Islamabad and Rawalpindi, recently launched by Pace Builders and Developers. Project spread over more than 52 Kanals of area with having multi-story structure. Project offers 1 bed, 2 bed, 3 bed and 4 bed apartments. These apartments can be booked on easy instalments and cash payment. The Palm project has all state of the art and world-class facilities with an affordable prices and have ideal location. 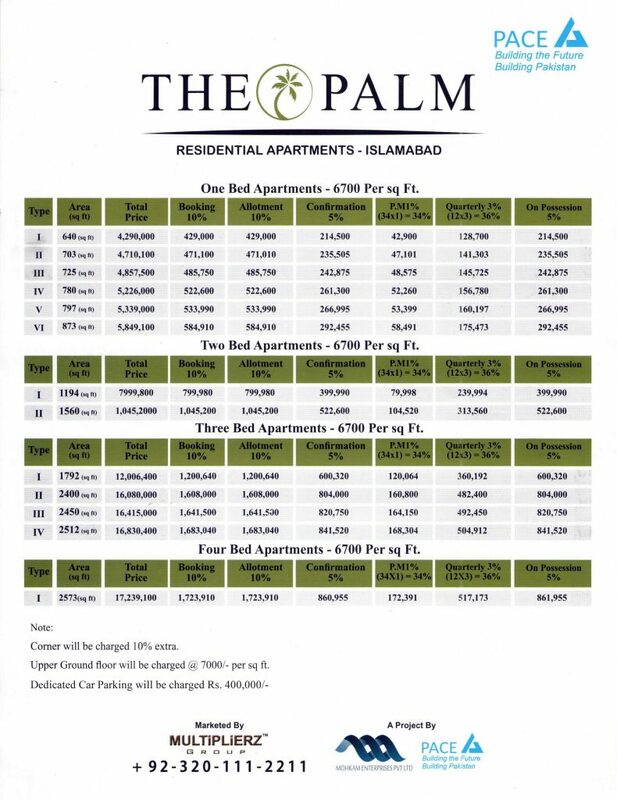 The Palm Residential Apartments in Islamabad, located at Expressway, adjacent to Radiant School and near to Sohan Interhange. Project is also few minutes drive away from Benazir International Airport and approximately 9 km’s away from Centaurus Mall Islamabad. Booking for apartments starts from 10% downpayment and rest of the amount will be paid in 34 monthly and 12 quarterly instalments. Here is the complete payment plan for each size of apartment. I am interested in the described location flat. tell be when will this project start and what will be the plan of handling the flats to the parties.